The iPhone maker has reported stronger-than-expected results, buoyed by strong sales of its smartphones, sending its share price to a record. It hopes to keep this momentum with a new gadget to be unveiled this fall.The stock climbed above its intraday record high to $159.10 (134.4 euros) after the US tech giant reported a 12-percent profit jump to $8.7 billion for the second quarter, and a 7-percent rise in revenue to $45.4 billion. The world´s most valuable company also said it had hit a milestone by selling more than 1.2 billion iPhones over its history. "We´re happy to report our third consecutive quarter of accelerating growth and an all-time quarterly record for services revenue," Apple chief executive Tim Cook said in a release. The iPad product lines also showed unexpected strength, and even the much-maligned Apple Watch saw sales increase by 50 percent. Apple is seeking to diversify its product line with the Apple Watch, digital content and other services, but the iPhone accounted for more than 60 percent of revenue in the past quarter. While iPhone sales in the quarter came in at the high end of Apple´s forecast, Cook said a "pause" in buying due to rumors of an anniversary model arriving later this year kept the number from being even higher. But Apple is facing pressure with an increasingly competitive smartphone market dominated by Samsung and others using the Google Android operating system. Analyst Patrick Moorhead at Moor Insights & Strategy described Apple´s result as "stellar," adding: "What matters most is how competitive Apple is and the timing for the iPhone 8." Apple is widely tipped to adopt higher-resolution OLED displays for the latest iPhone, along with better touchscreen technology and wireless charging. The new gadget is expected to launch in September, coming with a price tag upwards of $1,000. 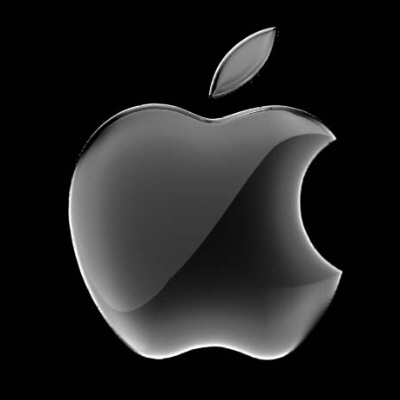 Apple highlighted that 61 percent of the revenue in the quarter came from outside the United States. However, revenue in China, an important market, slipped 10 percent from a year earlier to slightly more than $8 billion. Apple last month removed so-called VPN apps from the App Store in China. Those apps help Chinese users skirt China´s "Great Firewall." The move has sparked criticism that the company was bowing to Beijing´s tightening web censorship. Beijing mandated in January that all developers must obtain government licenses to offer VPNs, leading to the Apple decision. "We would rather not remove the apps, but like in other countries, we obey the laws where we do business," Cook said during an earnings call. "We are hopeful that over time, the restrictions we are seeing are loosened, because innovation really requires freedom to collaborate and communicate, and I know that is a major focus there," he added. The Apple CEO declined to directly address US President Donald Trump´s claims that Apple will build three new factories in the United States. Instead he cited the company´s job creation efforts and a $1 billion US manufacturing fund set up by the company. Out of that fund, some $200 million was devoted to Corning Glass to expand a US plant for making screens for Apple mobile devices, according to Apple. Cook said Apple felt a responsibility to increase economic activity in the country but said nothing of building more manufacturing facilities there. He noted that Apple had already created two million jobs in the US; about three quarters of those are developers making software for its devices. "I think the developer community will be the largest contribution Apple can make," Cook said. Apple is also investing in education programs teaching technical skills, and is likely to hire more workers. "That is what we are doing from a job growth point of view and we are very proud of that," Cook said. The company forecast total revenue of between $49 billion and $52 billion for the current quarter. Cook also hinted that Apple´s experiments with self-driving cars may include ambitions that extend beyond cars, for which it was planning a "big investment" in autonomous systems. Cook pointed out that those systems were "sort of the mother of all AI projects" which could be used in a variety of ways. "A vehicle is only one, but there are many different areas of it. And I don´t want to go any further with that," he added.